Can interest groups and lobbyists—arguably undemocratic institutions—operate in democratic systems without hindering the people’s interests? 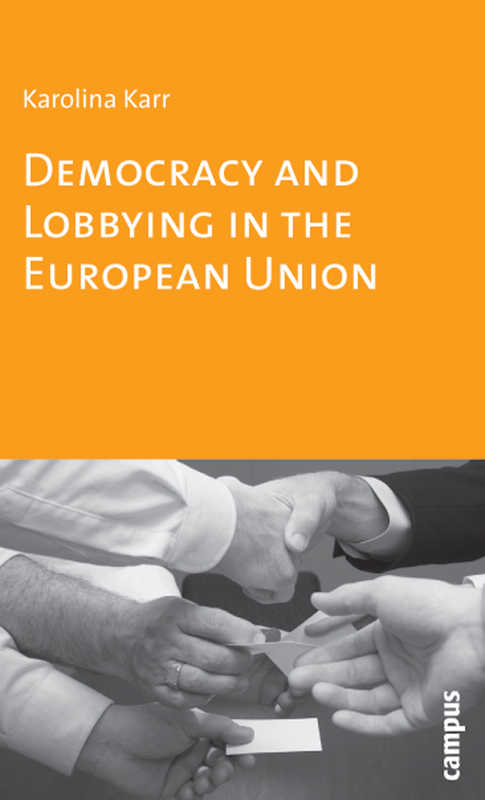 Karolina Karr’s Democracy and Lobbying in the European Union explores the role and potential impact of interest groups on democracy, both in theory and practice, in the context of a changing continent. This timely volume explores how the power of interest groups has developed due to the growing distance between elected representatives and the European people and forecasts what this development might mean for the vitality of government. "A concise theoretical and scholarly analysis of concepts such as democracy, interest groups, common good, consociational democracy, corporatism and pluralism. Specifically, it examines the European Union (EU) system and the workings of democratic principles in that system via various theoretical tools, revealing the consociational system as one of the most important features of the EU system and the democratic deficit as one of its most serious problems. . . . The book will be attractive to scholars and students of European Studies in particular and political science in general."